To make an equivalent to MinWin. You must use Windows XP SP2 Installation Media. none="No Mouse or Other Pointing Device",files.none,""
Rename compiled Native.exe to SMSS.exe. Drop the new smss.exe into i386\system32. Here is an already compiled ISO. Last edited by Kenneth on Sat Oct 20, 2007 6:35 pm, edited 1 time in total. Please upload the REG hives somewhere (mediafire, rapidshare, FTP)! How did you get ahold of something like this? I'm very, very interested in this. Hope to see the hives upped soon. A question: This tutorial is used to build installation media, right? It's not installable, just a bootcd. I'm uploading a working build onto SP, in a few minutes. Pretty neat. You can install it to the Hard Drive just like WinPE 2005. The file has been uploaded. I included a very basic Readme file, and gave props to Windows OCManage. A few questions about it: where's the command line interpreter coming from? Is there anyway to remove the question on boot that says "Setup could not determine the type of computer you have"? Also, now that the base is running, is there a way to make it do anything apart from give a command prompt? For example, could you get some kind of service going? If you want to run services, you will need to use the CsrSS Subsystem. This is really a great start to build a great os. so, what exactly can minwinXP be used for, because everything useful been striped out of it. Time can never catch up with me, Zeno proved it. I think by itself not very useful. It shows that xp can be modular and put in functionality as needed. It will make a fast secure os. You still need to figure out how to put the components in that you need, as in the XPe manner. I'm uploading a fixed build. 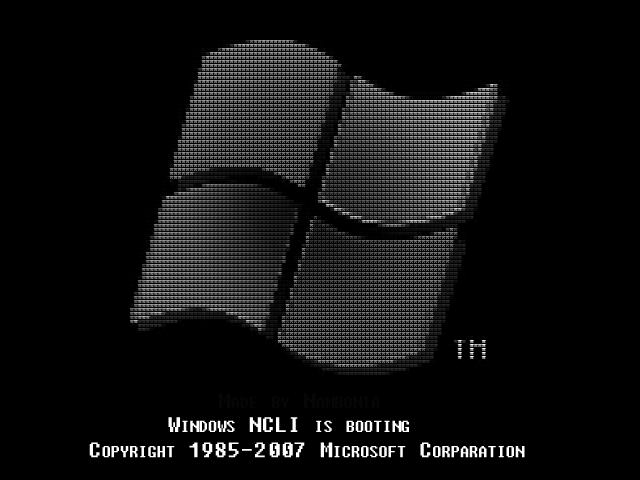 Also put up this video on youtube: http://www.youtube.com/watch?v=By16R68psAY - just this new build booting up, on an ACPI configuration. I *think* multiprocessor support will work now as well, as I included all the kernel files and matching hal's. Iso size grew by 4mb due to that. It can run basic applications such as Notepad, Calculator and Wordpad. It can also run the explorer shell. ModelRAM.exe is needed for System Profile Creation. 64 MB RAM if you are running the console shell. Size: 56MB, includes stubbed networking. Uploading to the SP FTP. btw, good work. how long did it take you? It is the regular ntoskrnl.exe compressed in makecab format. Do you have the regular Win32 API subsystem working (by the lack of win32k.dll I guess not)? If not, where do you get information about the kernel API? It's fully undocumented, AFAIK. I see ntdll.dll there, but nothing more advanced (user32.dll, kernel32.dll, etc.). The GUI SMSS is in a different iso. I found the kernel code in the tinykrnl example. Last edited by Namronia on Wed Oct 24, 2007 9:09 am, edited 1 time in total. But its a nice bootscreen.